Hello friends! Welcome back in 2012. Between my kiddos and my husband being home, there wasn't much priority on blogging, but I'm back and ready to share the laundry room before and after pictures. The cabinets were painted in Gunmetal 1602 by BM. I am crazy for this color. 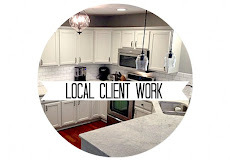 This little makeover started with the ugly fluorescent light that needed to be changed. But when my hubby went to install the new light the wiring was a mess and there was a huge hole of crumbling drywall. :-( Cue the electrician and drywall guy. Not what you want to pay for in the midst of present buying. BUT, not it's done correctly and we don't have to worry. New light. Everyone needs a little fancy in their life. 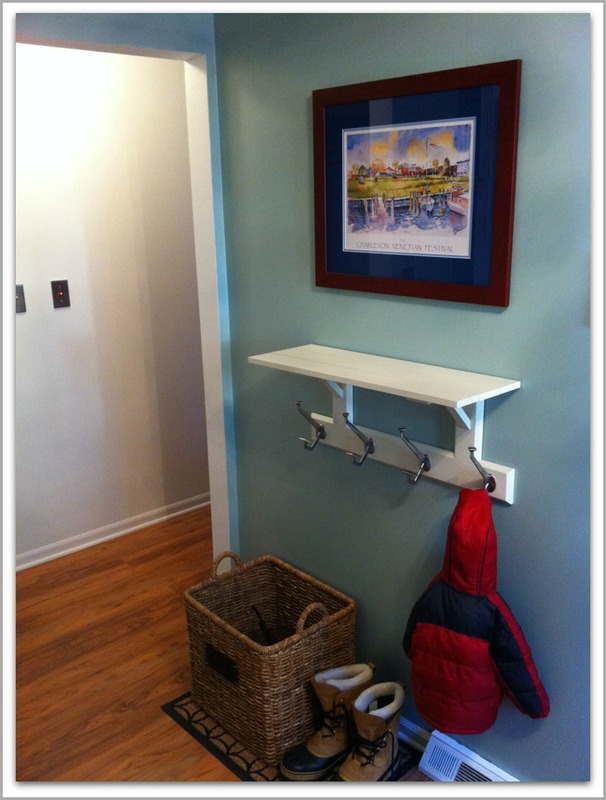 I move my framed watercolor of Charlevoix, MI to the coat area. I kept it slightly too high to leave room for an imaginary galvanized steal container I'm envisioning for the top of the shelf. 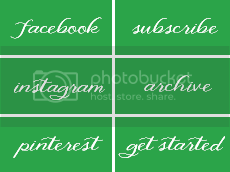 Know of any good Etsy stores for that? I also bought the basket from Target that I've wanted for over a year now. It's perfect to hold all our winter gear. Long term we will build some sort of locker area/bench on this wall, but for now it works. Now for the full before and after shots. As always, I wish you could see the room in person because it looks so much better in person. wall to the right of the door. I'll keep you posted. Here is the view with the light on. I like the shadows! 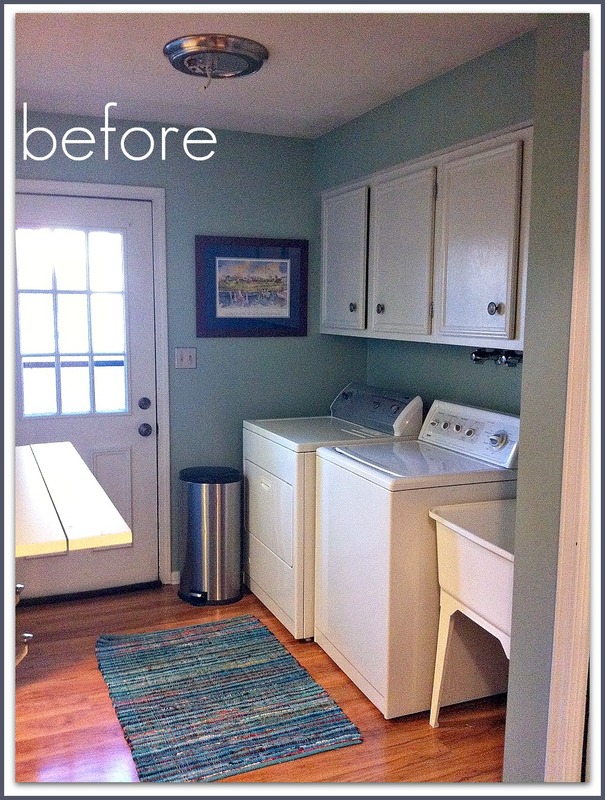 Thank you for checking out my laundry room makeover! Let me tell you...I'm going to do a lot more laundry in 2012 just because I actually enjoy being in the room. What a fun little element with the shadows! Wouldn't it be nice if we all had professional photographers at our expense so the "after" shots truly did represent?! Everything looks fabulous regardless. Great work! Absolutely love the color and the pulls! That light is just fabulous as well! The light cast on the walls is awesome! Great job. I wish I had a space I could pretti-fy for laundry! 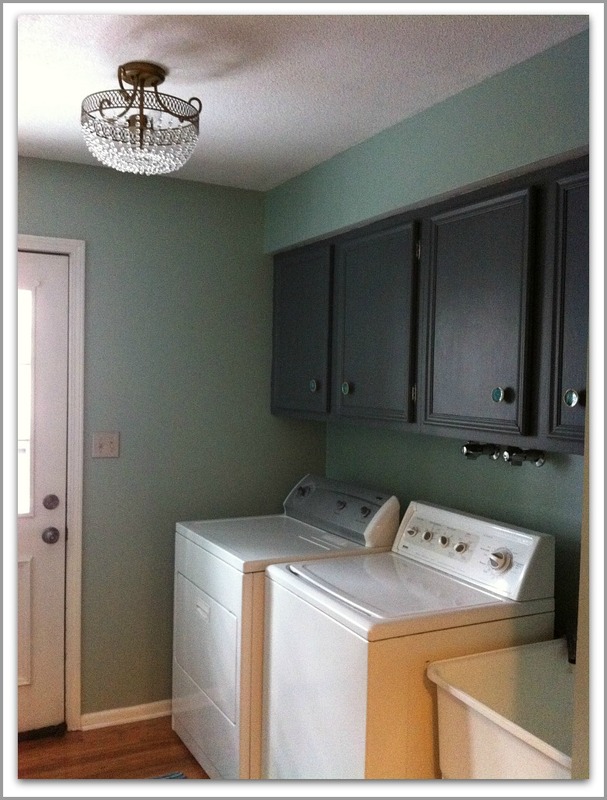 What a pretty laundry room! Love the light & I have to make note of BM gunmetal. Looks great...that light fixture is to die for! 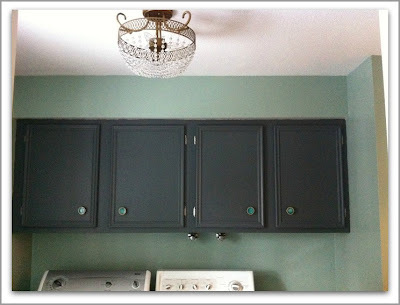 I love that you painted the cabinets the gunmetal color - they are really great. I'd be spending a ton of time in there too doing laundry. 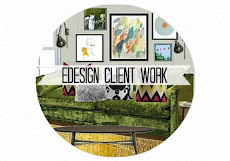 Do you have HomeGoods in MI? I've seen a ton of galvanized containers there lately and they are all affordable. I actually got one to use for a Christmas gift. They might have the shape you're looking for. Happy 2012! It looks great! 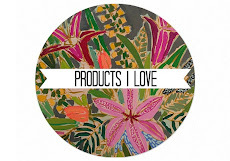 Love your new fixture! What a cute room! You did a great job. You might find the container you're looking for at a garden center. Or the local home improvement store has those containers for holding plaster/joint compound for troweling it on the wall. It will make doing the laundry much more fun. Great transformation. Gorgeous light fixture and paint colors, Abby! This is a wonderful transformation! Great work, Abby! Turned out beautifully! I don't mind doing the laundry. It's the folding, sorting and putting away that I hate. At least we don't have to go down to the creek anymore like they did way back when. ...now, there's a thought! Lovely! I really like how you put a pretty light in such an unexpected place. :) Our laundry room desperately needs to be finished... 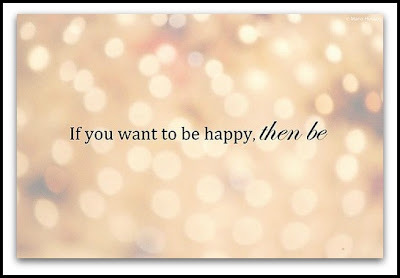 I'm hoping in 2012. I love that cabinet color, and those knobs are amazing! I love how you always go for the fancy light, too! It looks wonderful, Abby. 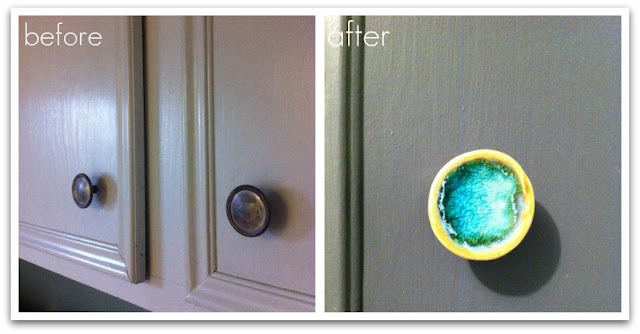 The knobs are so pretty, but love the lighting in this unexpected place...fabulous!! It's beautiful! I would want to do more laundry in that room too. The light is awesome and the cabinet color is perfect. I think I'm obsessed with it too. Beautiful! Perhaps the laundry room should be the loveliest of all! That IS where we spend so much of our time! 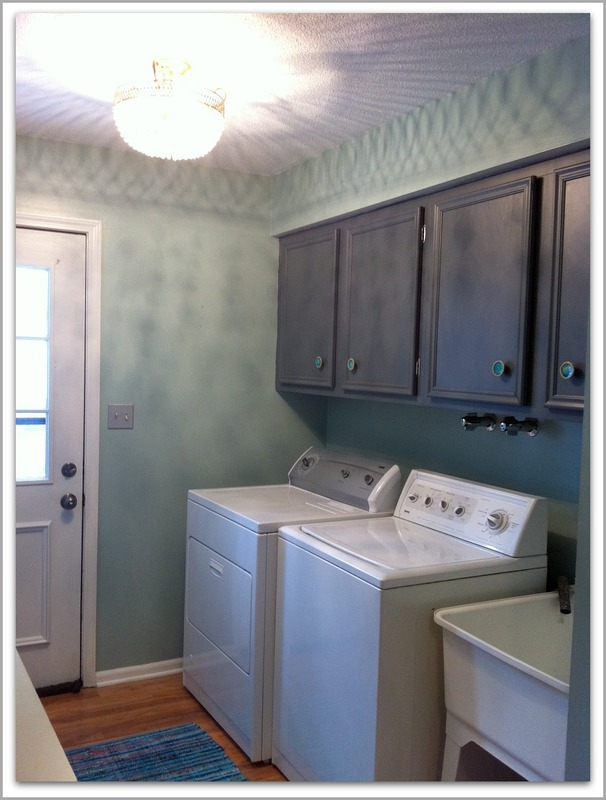 The paint, knobs and light are gorgeous, but I'm jealous of that big sink! And Home Depot or Lowe's should have your galvanized bin, although my son tells me "Lowe's is for the Ladies" so maybe try there first! Hopped over from Mama's Laundry Talk. LOVE your pretty light - those shadows look like a fancy border on your walls! 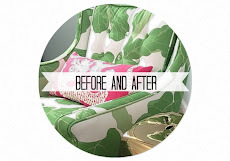 Love the makeover! Abby....love those colors!!! Sometimes it doesn't take much to pull a room together. Looks great. I love that line "everyone needs a little fancy in their life." It's beautiful, Abby. So glad that you are getting the new place all done up, you deserve it! Such a pretty place to do laundry! The light is the perfect touch. Happy 2012!